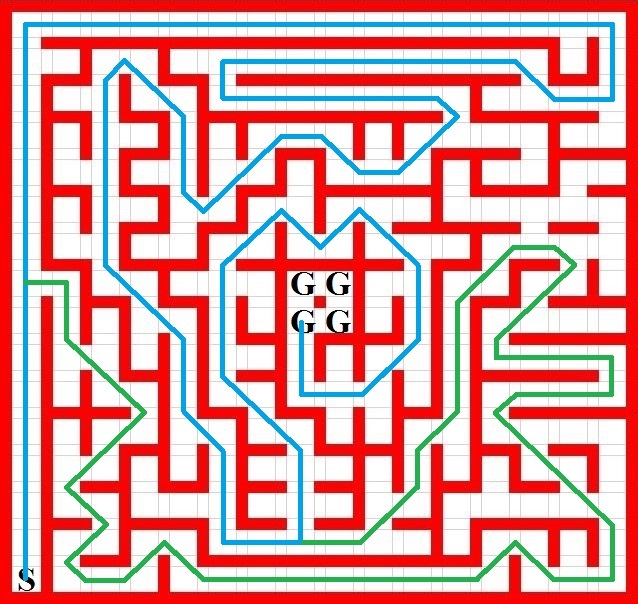 There are 2 typical paths for this maze design, where the Green path was chosen by 2nd place and the blue path was picked by 1st place. The score #s were the one used to determine the rank instead of the run time, where the run time is only the raw run time from starting corner to the center. 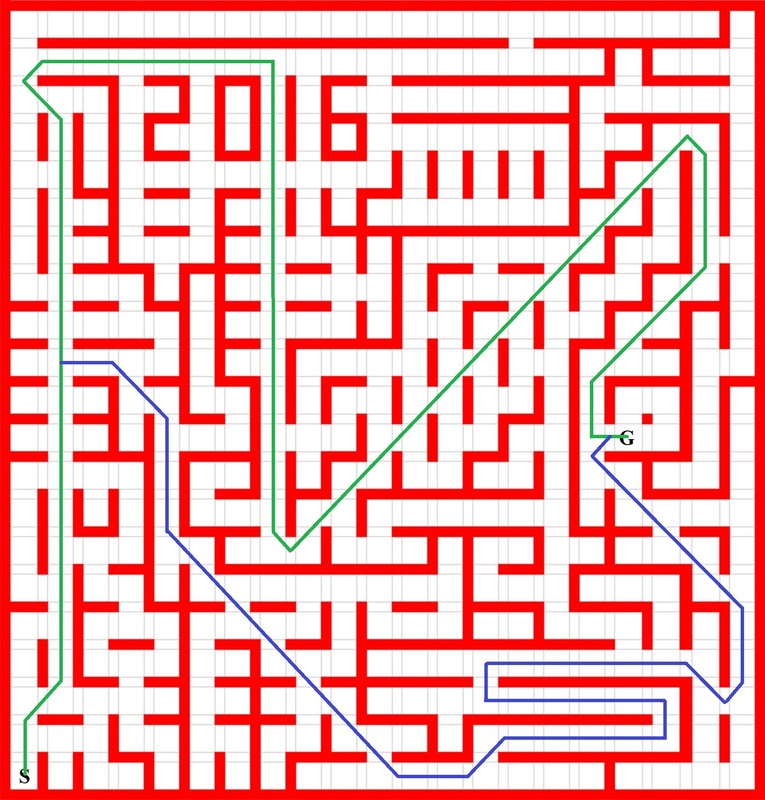 The score = previous maze time/30 + current run time. 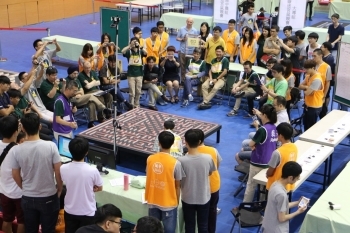 The rule is very similar to APEC and it is encouraging the players to search faster. 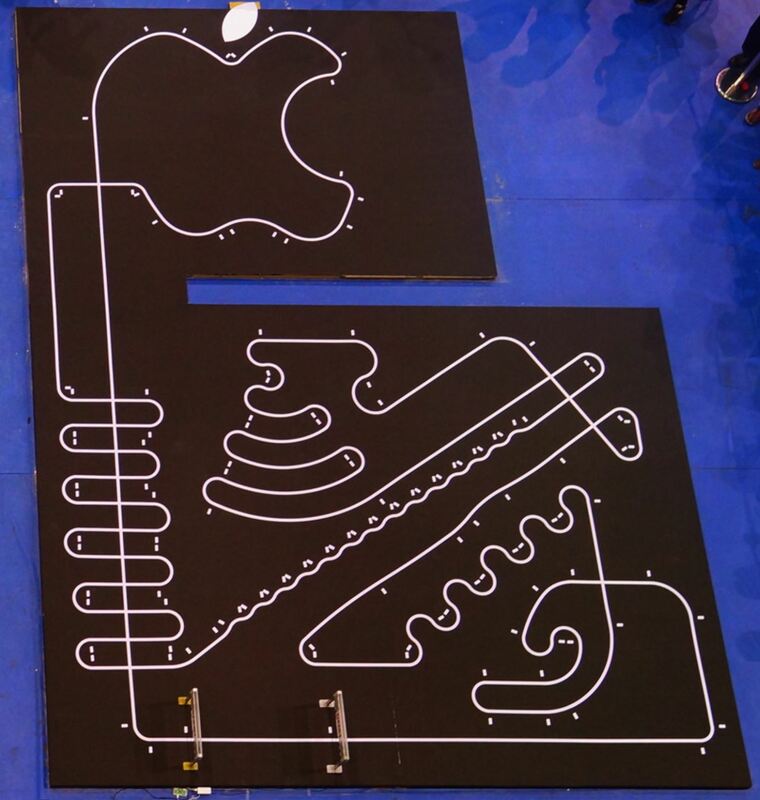 2 typical paths for half-size maze. The winner picked the Green path. 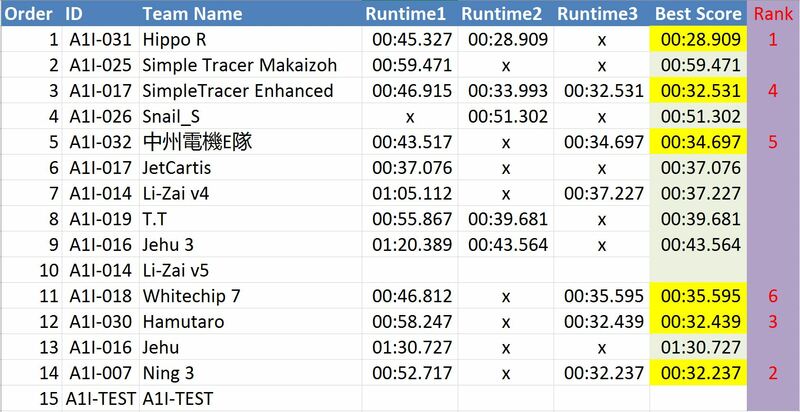 Since half size micromouse is much harder than full size, the best score is only taken from the fast run within a 10 minute window or 5 run limit (whichever comes first). Special thanks to Dr. Juing-Huei Su from Lung Hwua University of Science and Technology since he was the provider for all detailed data.